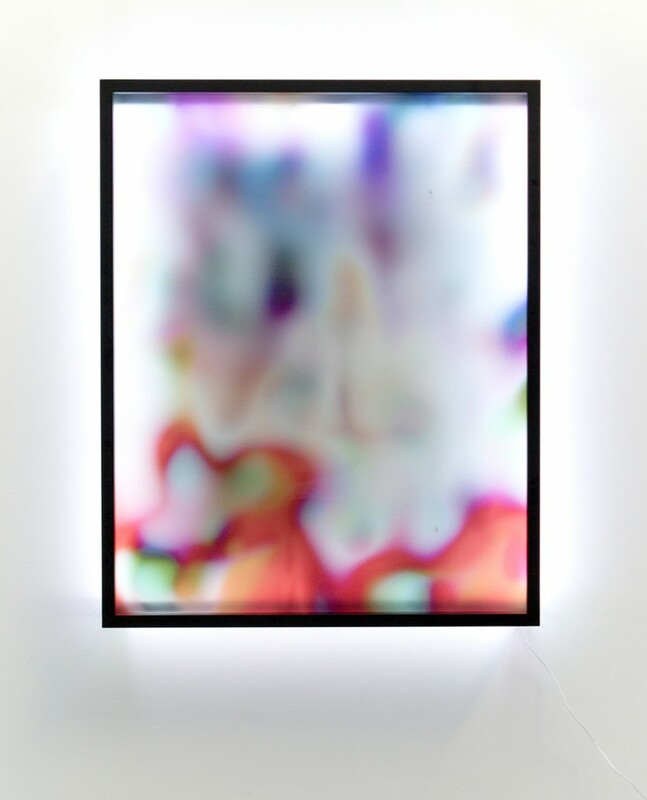 For Miart 2016, Steve Turner will present a solo booth by Berlin-based Jonas Lund featuring works that relate to both technology and to the market for emerging artists. 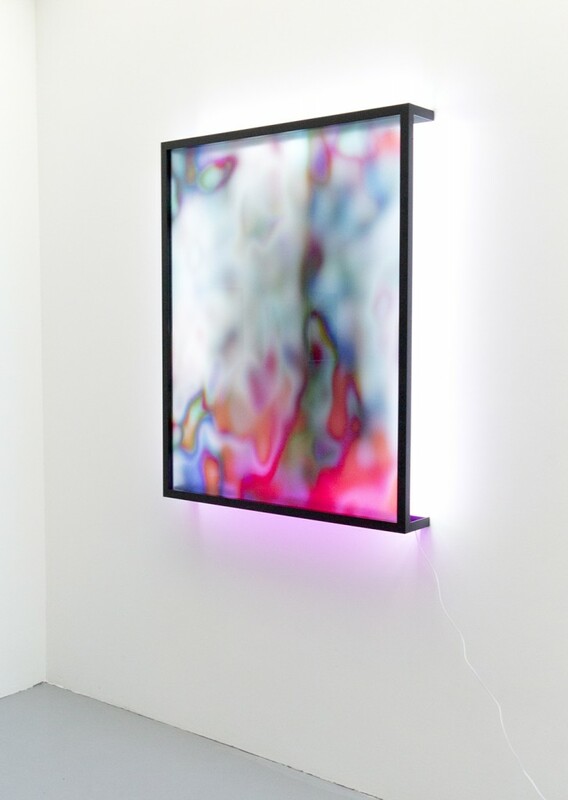 Lund will present live streaming videos, illuminated digital paintings, video-sculpture hybrids and text-based enamel signs. 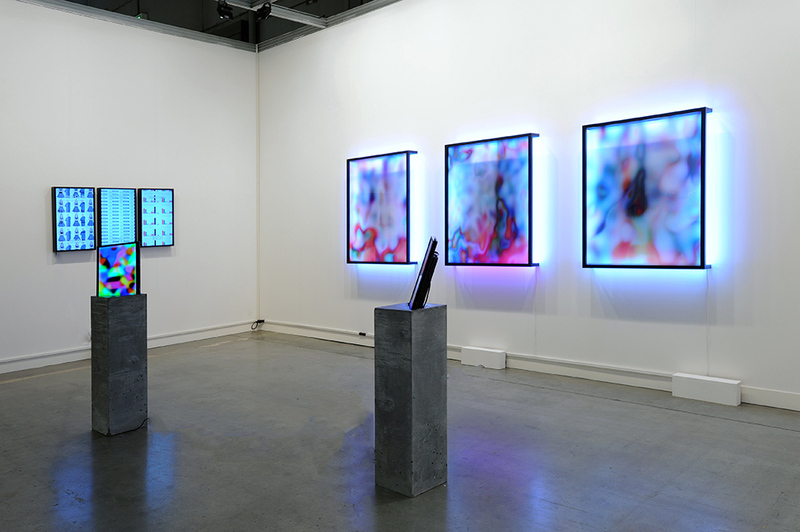 The live streaming video Hype Cycle consists of three monitors displaying a continuous stream of online content that seek to identify the next trend in the contemporary art market. 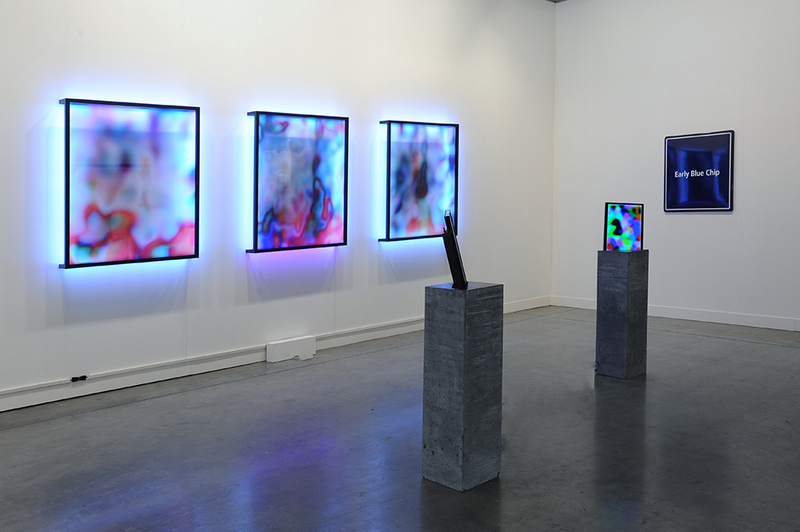 Based on parameters that Lund designed, one monitor focuses on artists’ concerns; the second, on those of a curator; while the third presents those of the gallerist. 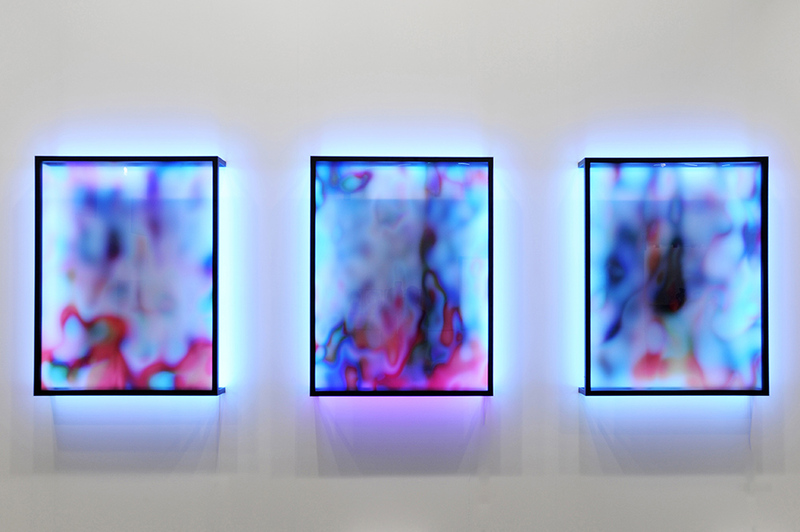 For the illuminated digital paintings, Lund programmed an algorithm to optimize their visual content specifically for an art fair. 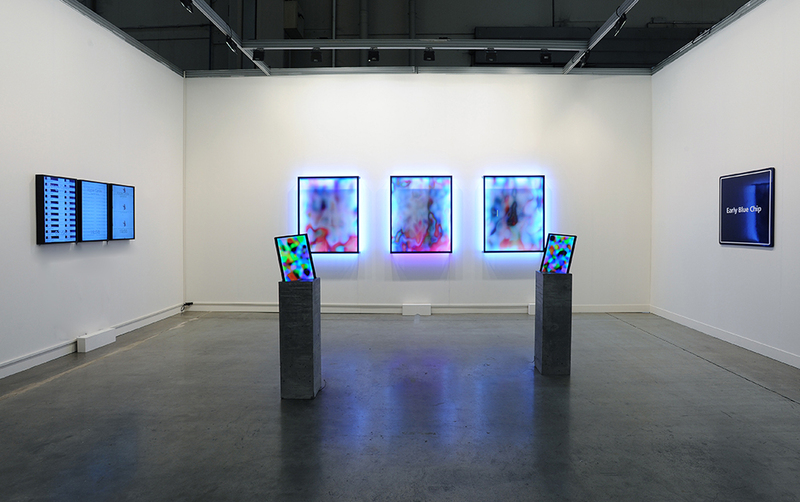 Printed on florescent plexiglass and lit by LED frames, they represent several years of Lund’s research into the factors that make a work successful at an art fair. 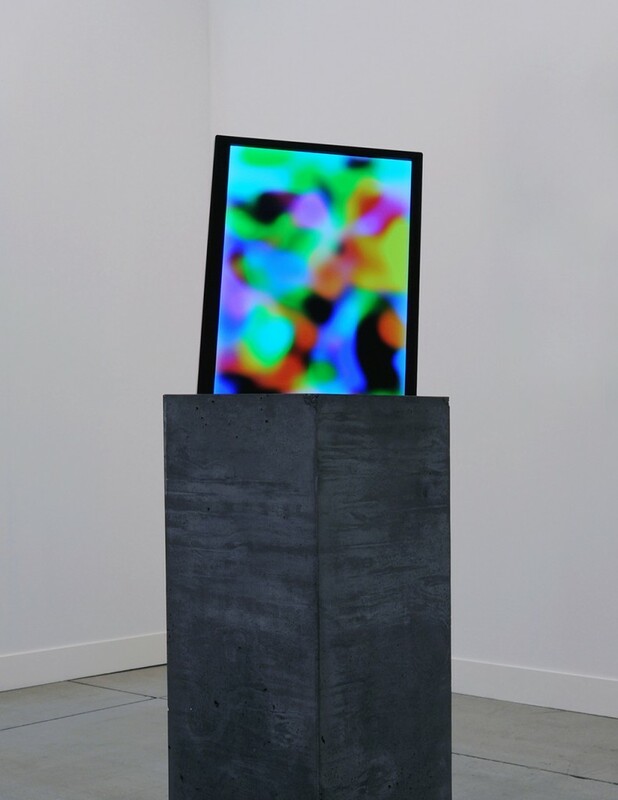 The video-sculptures consist of obsolete LED monitors that have been encased in concrete pedestals. 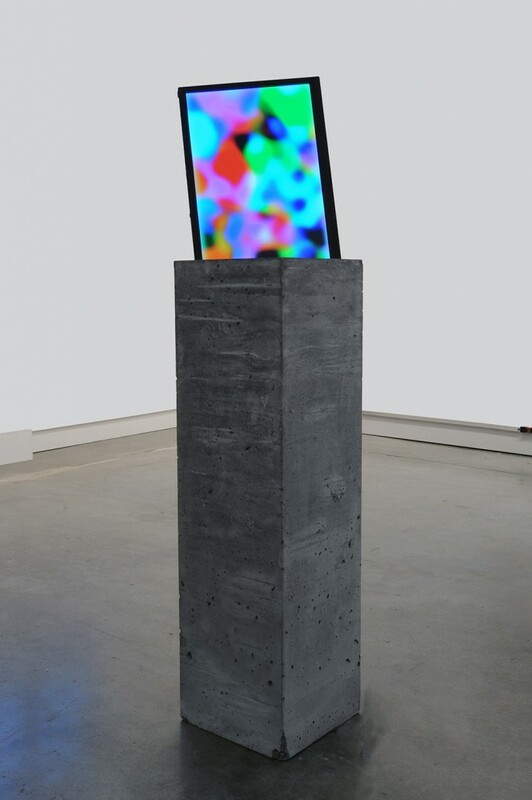 The monitors display continuous animations reminiscent of those in old-fashioned arcade games. 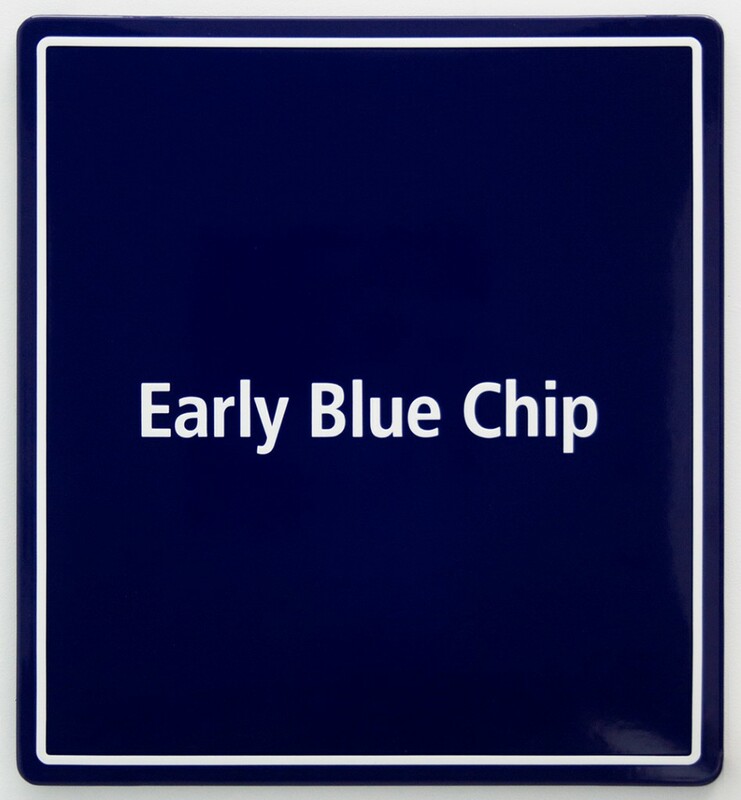 Finally, a group of powder-coated metal signs in various shades of blue bear the text “Early Blue Chip,” a favored expression used by those who hype emerging artists. 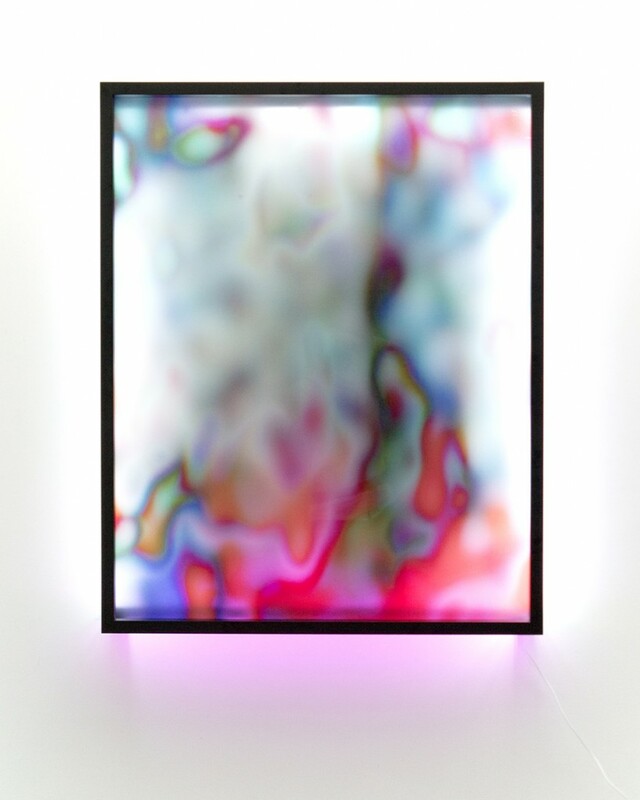 Jonas Lund (born 1984, Linköping, Sweden) creates paintings, sculpture, installations and new media works that utilize data from his studies of art world trends and behavior. 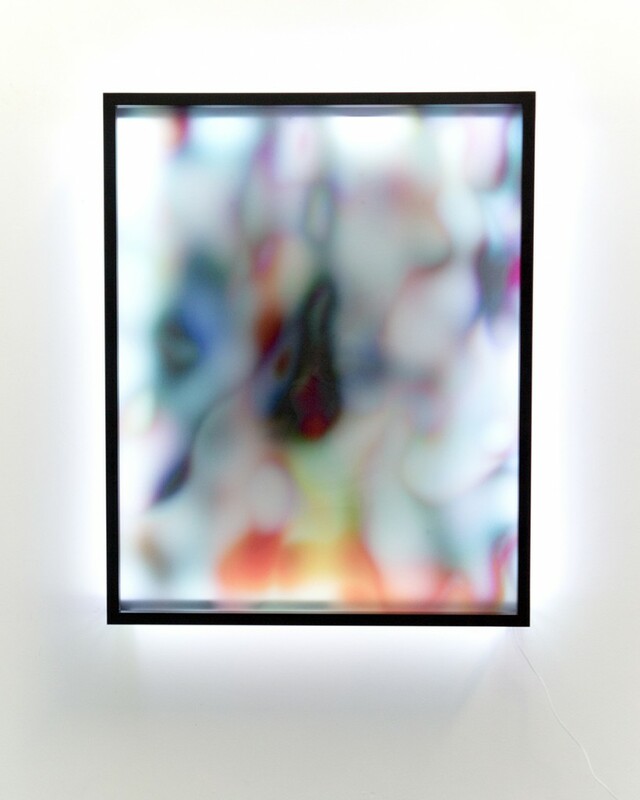 He earned an MA at Piet Zwart Institute, Rotterdam (2013) and a BFA at Gerrit Rietveld Academy, Amsterdam (2009). 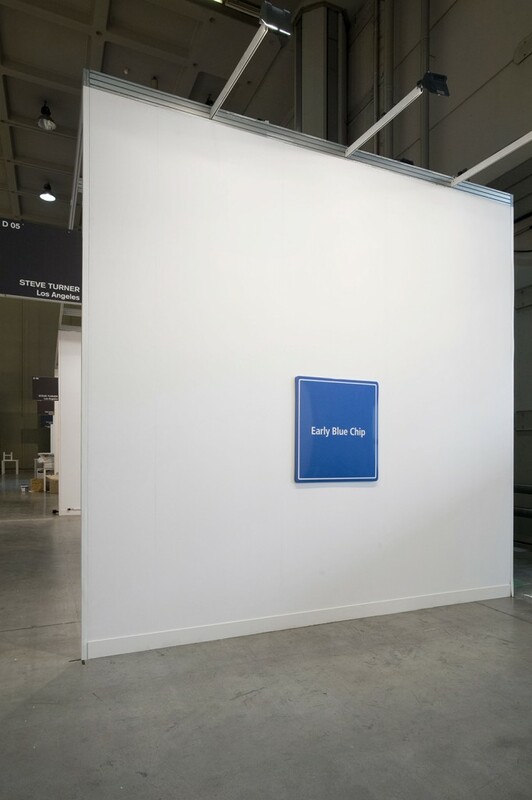 He had solo exhibitions at Showroom MAMA, Rotterdam (2013) and Steve Turner (2014, 2015) and has had work included in numerous group exhibitions including at Eyebeam, New York; New Museum, New York, The Moving Museum, Istanbul; Xpo Gallery, Paris; Van Abbemuseum, Eindhoven and De Hallen, Haarlem. His work has been written about on Rhizome, Huffington Post, Furtherfield and Wired.